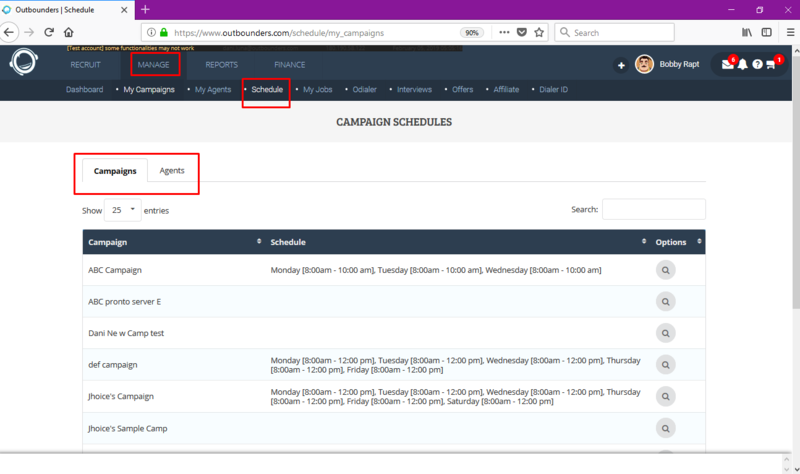 The Agent and Campaign Scheduler allows you to create and customize the schedule of a campaign or for a particular agent. 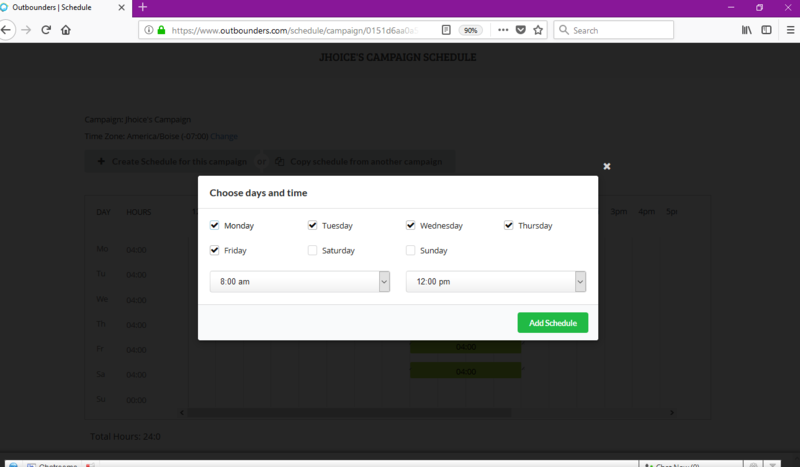 A window will pop up with options to check off the days of the week and scheduled times. 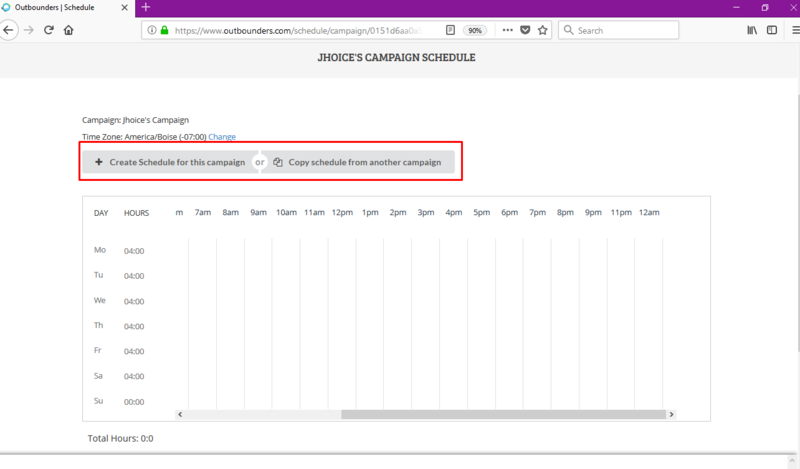 Once finished, click Add Schedule. Once finished, you should see green bars that will indicated the times your agents are scheduled to work. You may edit this right from the chart itself by clicking on the green bars and resizing them. This will be the default schedule for the agent assigned to the campaign. 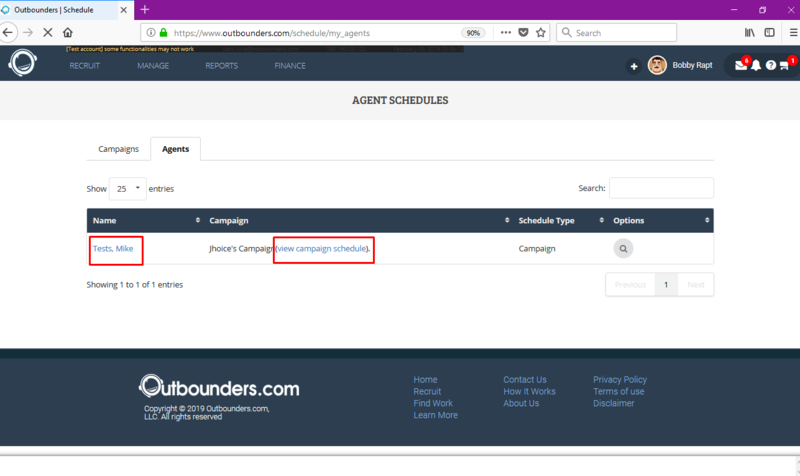 But if you want to customize the agent’s schedule, you can go to Manage then choose my agents. 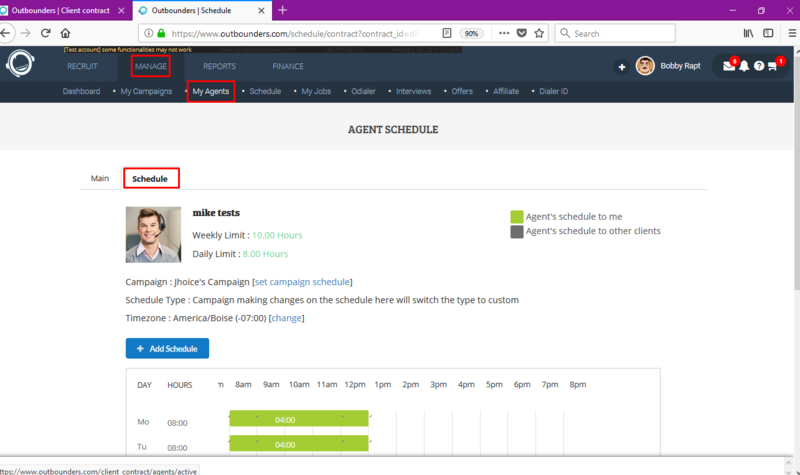 Click on agent name and click on schedule tab.